What is Turkey for me? Country of unexpected non stop adventures,with the most educated people in the world, amazing culture, traditions and the best cuisine. 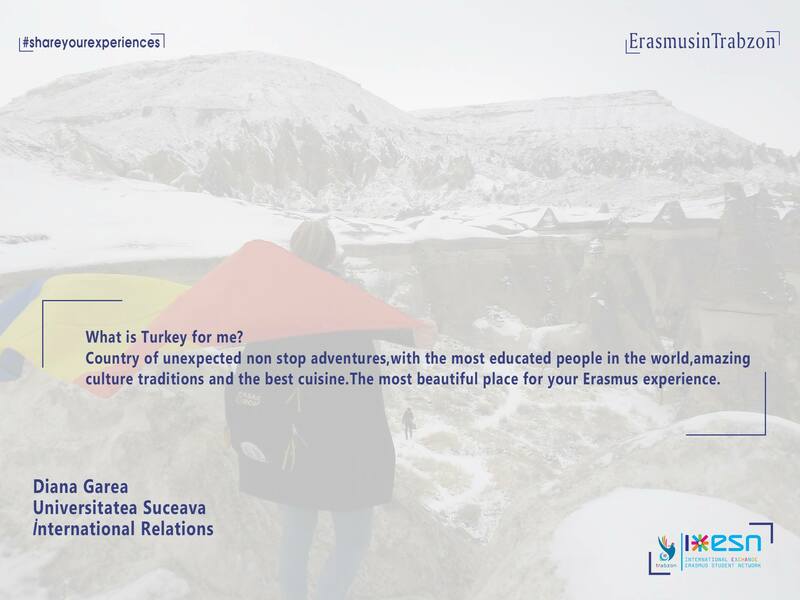 The most beautiful place for your Erasmus experience.